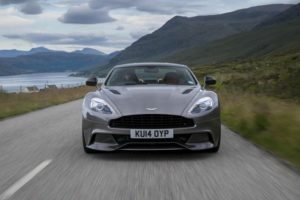 We reported recently on the $26-million sale of Aston Martin’s intellectual property and design drawings for its departed Vanquish. Rumors abound about who the buyer was and while Automotive News had initially surmised that the Morgan Motor Company may have been involved, both Aston and Morgan were non-committal. 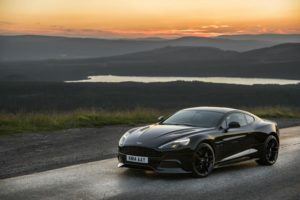 Aston Martin’s CEO Andy Palmer explained to Automotive News that he agreed to sell the Vanquish tooling as well as 18 months of Aston Martin Consulting services to help with the new car’s development. He only did so after receiving reassurances about the way the future car would be executed. He also mentioned that the customer didn’t want the Vanquish connection named. And so, it remains, no official announcements have been made but we would be surprised if this were not the case. Morgan currently offers three models to US customers, the quirky three-wheeler and the Plus 4 and Roadster 3.7 (which you need to source your own engines for). [Not exactly true. Morgan provides the engines and the dealers have them installed.] All three have long wait lists. But with this new high-performance flagship, due for release at some point in the mid-2020s, it could be the ideal vehicle to offer power-hungry American shoppers. Aside from mentioning that the design would follow its traditional approach, details on the engine and other drivetrain components have not been revealed yet by Morgan. 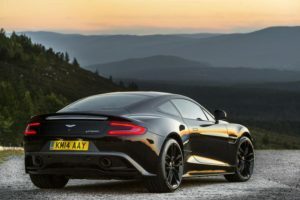 Whether it ends up using a version of the Aston’s 5.9-liter V12 or perhaps another BMW V8, we cannot wait for some more details in the coming months. Doesn’t look like a Morgan. Does it act like a Morgan? probably not. So is it a Morgan? We’ll see………..